"What strategy might evolve for the Western wildlands? The old fire exclusion paradigm had clarity—a bogus simplicity, but one easily communicated and measured. What has emerged to replace it can seem muddled and tricky to explain. The reality is that fire suppression remains dominant nationally, though it has acquired a lighter hand in the backcountry and a heavier one near exurbs. The other reality is that every wildland fire put out is a fire put off. 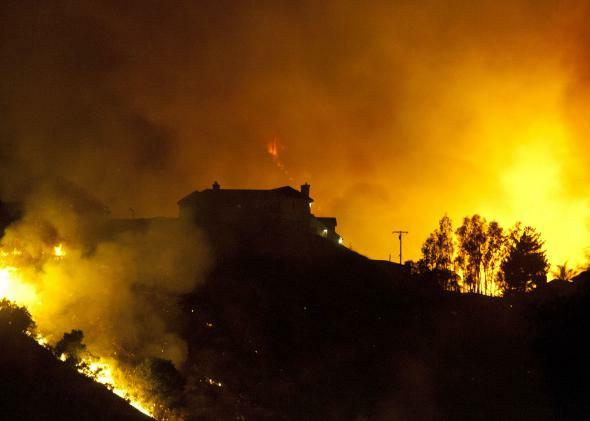 Fire agencies now face a phalanx of changes that are powering conflagrations—not only the legacy of stockpiled fuels but also climate change, invasive species, a fractal exurban sprawl, and political gridlock. With no single cause, there is no single solution. Fire officers look instead for pragmatic responses, adapted to particular circumstances." "Critics dismiss the outcome as a muddle, but others put a positive spin on it, arguing that it’s more of a mashup. They point out that the country does not have a fire problem: It has many fire problems, all of which require different approaches. In the public lands of the West, the options are few. Fire officers will have to manage their lands with the fires they get, not the ones they would like. In many wildlands they will work with fires that start from any source and “box” them in according to natural or built features that allow easier control. They will then burn out from those perimeters and fire out the interiors. This approach, officially known as “confine and contain,” unofficially as “box and burn,” is likely to become the primary strategy for managing fires in the West. This video demonstrates how a hybrid approach, including “box and burn,” was applied to the recent Slide fire outside Sedona, Arizona." "So expect plenty of fires this season. Expect burns that make 1977’s 178,000-acre Marble Cone fire seem unexceptional. Expect critics to harp on wishy-washy policies and a lack of airtankers. Hope that we don’t see communities blown away or crews burned over. Then get used to it. It’s what the future of fire in the West will look like."